Udets Albatros D.V at the time he was commander of Jasta 37. The Albatros D.III and D.V of Jasta 37 had their tailplanes diagonally striped in narrow black and white bands. Propeller spinners was all black and wheels black and white striped. Udet was in command of Jasta 37 from summer 1917 until march 1918. Under his command the Jasta 37 aircraft fuselages was painted all black, with white numerals on the nose and white symbols on the fuselages. Udets D.V shown here carried a white chevron - the commanders symbol - on its nose. The LO letters was also white. Unconfirmed is a big white U the aircraft carried under its lower wing. 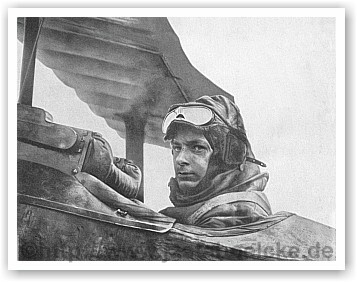 All of Udets aircraft carried the name LO (short for Eleonore - the name of his girlfriend) between 1917 and 1918.